Hey lovelies, so I’m back from my travels and have so much to share with you. I have tons of products to review, and have been invited to take part in some pretty exciting events so watch this space. 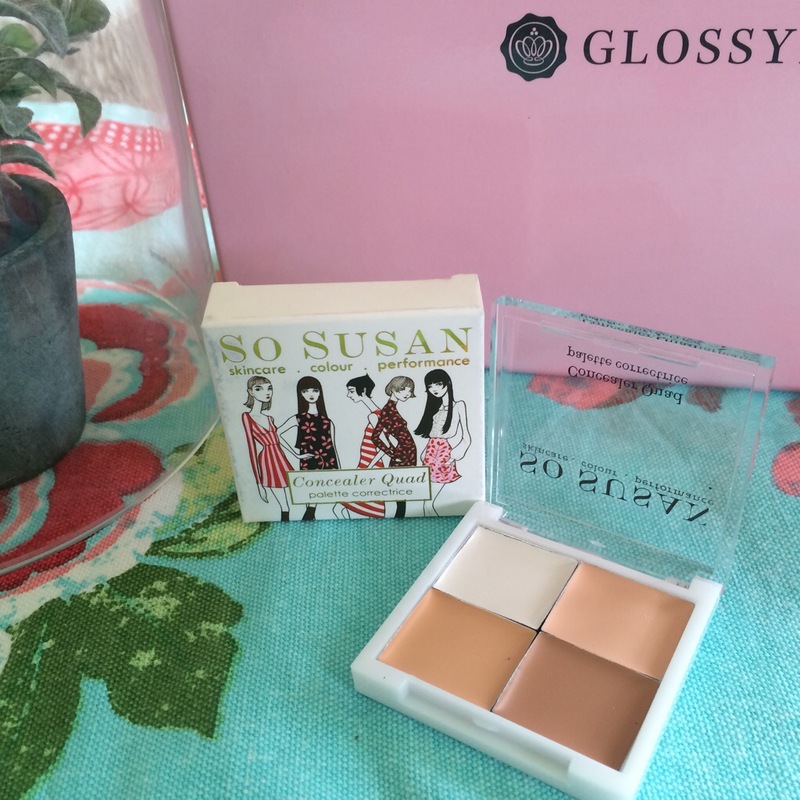 So Susan Concealer Quad – I’m loving this little quad palette. Not only does the packaging have fab illustrations, but there’s a great selection of colors that’ll do a fab job of contouring or concealing in my pro makeup kit. The formula seems smooth and not at all cakey so can be used under the eyes, as well as on blemishes and red areas. I’ll be trialling it and letting you know how I get on. 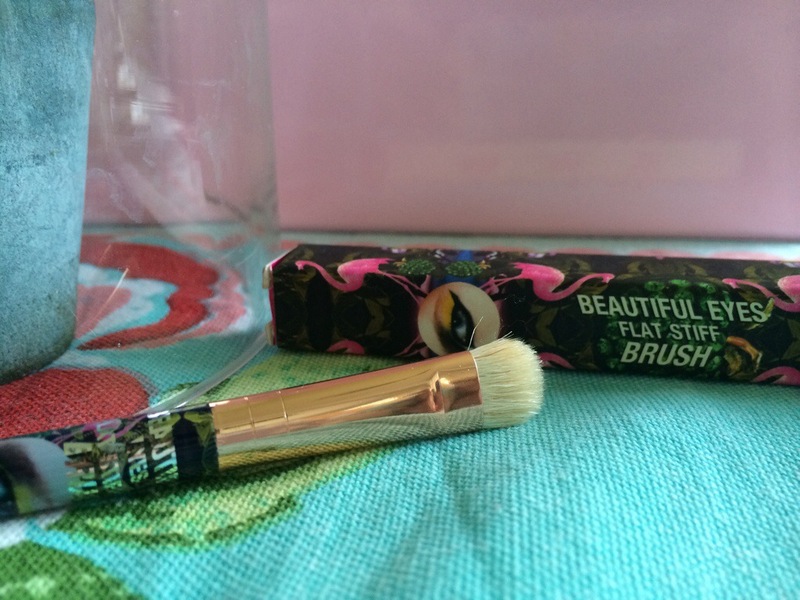 Teeez Trend Cosmetics Beautiful Flat Stiff Brush – Oooooo Glossy I do love that you keep sending out brushes. I mean personally I don’t think you can ever have too many brushes. Adding different variations to our boxes is a fab idea and a great way for us to expand our collections and try new companies. As for this Teeez brush my first impressions are positive. It’s a lovely sturdy brush ideal for cream or powder products. The only issue I have is that the packaging is quite garish, I’d definitely tone it done a bit tweeez. got2b Rise ‘n Shine Soufflé – Another hair product that I wasn’t too excited to receive. I totally stand corrected though, this stuff is actually pretty great. It smells lovely and is really soft and lightweight, suppose it was there in the name. It doesn’t coat the hair or leave it greasy. I’ll definitely be using this loads over the next few weeks so watch this space for a review. nailgirls 3-in-1 base/topcoat & nail strengthener – hmmmm another nail product. I have to admit I’m a bit sick of the nail products at the minute. Admittedly I’m not a massive nail addict so I suppose those of you that are will love getting so many products. That being said I’ll definitely give this 3 in 1 a go and see if it’s any good. Roger & Gallet Fleur de Figuier discovery ritual – OK Glossy if you’re going to send samples then this is how it should be done, A shower cream, moisturiser and perfume have been included for us to try. Now I had a little sniff of the perfume and I must say that it really was a bit too sickly sweet for me so I’ll be giving mine away. All in all I’m really excited to use most of the products included in this months box. It’s contents were approximately £65 so I’ve also saved quite a few ££££ too. 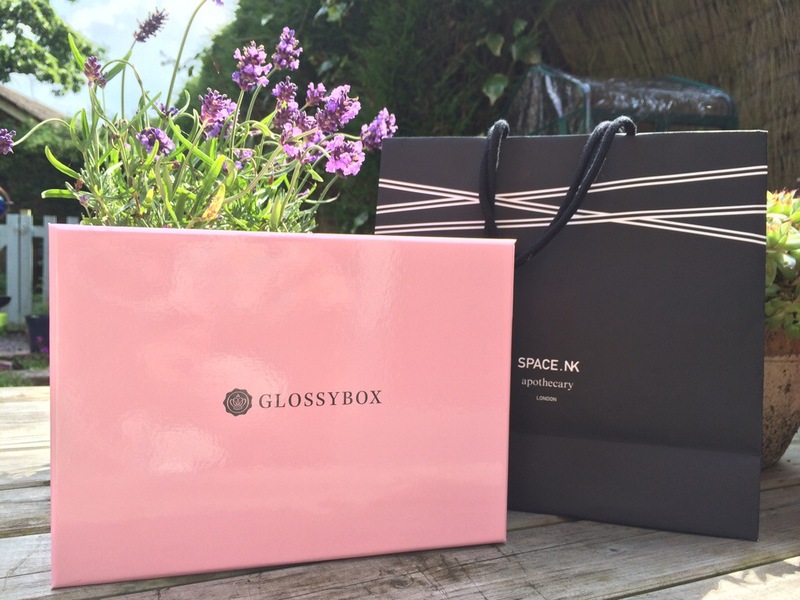 Keep it up Glossy! Hope you had a lovely time away, by the way.